I've already said countless times that fall is my absolute favorite season for fashion! And while I love neutral shades and dark colors as a base of my wardrobe, it's also fun to experiment with colors from time to time. 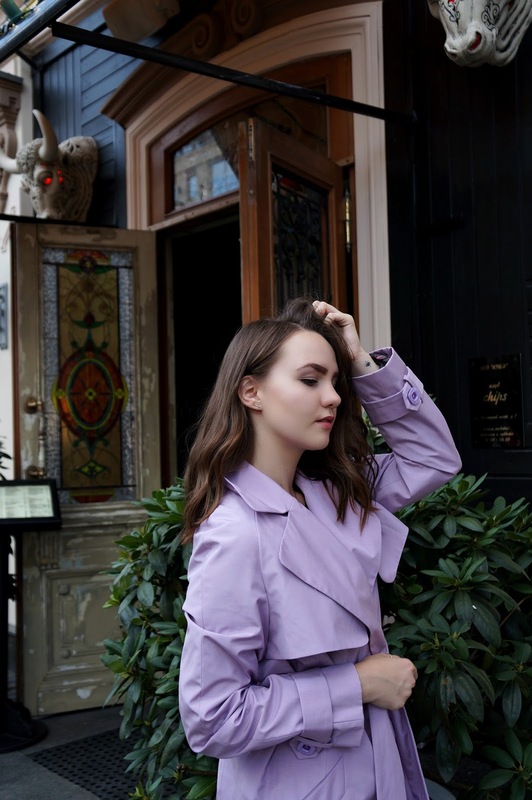 This trench coat I'm wearing is in a beautiful lavender shade that you'd typically not associate with the fall season, yet a piece like that can be a great addition to your wardrobe. I love that it's quite outstanding by itself, so the rest of the look can be really basic. Other ways to spice up your fall wardrobe would be to wear a colorful pair of shoes with a monochromatic look. Or add any other bright detail that would complete the look, like a bag or a scarf. This way you'd look put-together and classy, without having too many colors in one outfit. What are your favorite ways to spice up fall outfits?